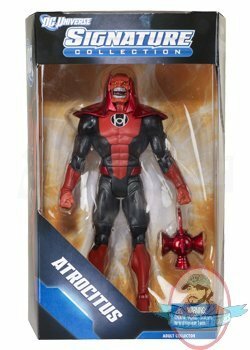 The skull-faced Atrocitus is clad in his Red Lantern uniform, complete with a framework of neck neck/shoulder armor, and is equipped with a red power lantern. 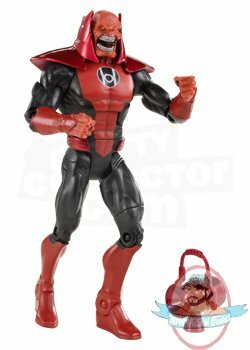 One of the five survivors of the massacre of Sector 666 and the leader of the Red Lantern Corps, Atrocitus converts the blood of the Five Inversions into a means of harnessing the red spectrum of the light. The result of which was the Red Power Ring, a manifestation of unrelenting rage and hatred for both the Green Lanterns and the Sinestro Corps alike.